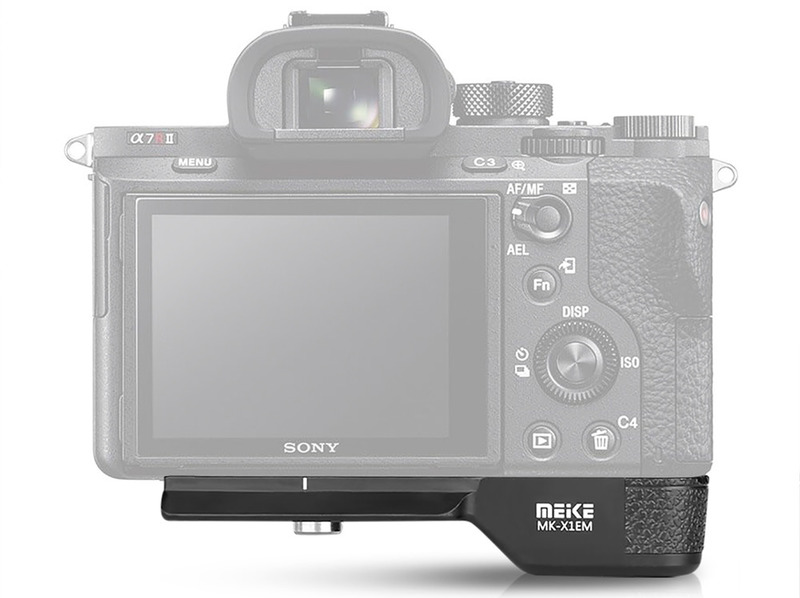 Meike have announced a new hand grip for Sony A cameras. Meike have announced the MK-X1EM, a new hand grip for Sony A cameras. The new grip can be used with Sony a9, a7 Mark III, and other a7 models. It's designed to improve the comfort of the grip. The bottom of the grip has a 1/4 inch screw hole for use with tripods. There is also a quick release slider on the bottom for easy use with tripods. The MK-X1EM is available on Amazon. Pricing has not yet been announced.